אָמַר לוֹ רַבִּי אֶלְעָזָר: וַהֲרֵי רַבִּי פְּדָת צַדִּיק גָּמוּר הָיָה, וְלָמָּה לֹא נָפַל בַּשָּׁעָה שֶׁלּוֹ שֶׁהִיא בַּת זוּגוֹ בֶּן גִּילוֹ? אָמַר לוֹ: בְּנִי, יֵשׁ גִּלְגּוּל שֶׁמְּחַיֵּב אוֹתוֹ שֶׁנּוֹפֵל בְּמַזָּלוֹ שֶׁהוּא בֶּן גִּילוֹ, שֶׁנֶּאֱמַר בּוֹ אֶרֶץ אֲשֶׁר לֹא בְּמִסְכֵּנֻת תֹאכַל בָּהּ לֶחֶם, שֶׁהִיא שְׁעַת הַמָּזוֹן, שְׁעַת הַחַיִּים וְהַבָּנִים, וְיֵשׁ גִּלְגּוּל שֶׁמְּחַיֵּב אוֹתוֹ שֶׁלֹּא נוֹפֵל בְּשָׁעָה שֶׁל הַמְּזוֹנוֹת שֶׁהִיא בַּת גִּילוֹ, אַף עַל גַּב שֶׁעָשָׂה כַּמָּה זְכֻיּוֹת בָּעוֹלָם, וּמִשּׁוּם זֶה פֵּרְשׁוּהָ בַּעֲלֵי הַמִּשְׁנָה, בָּנִים חַיִּים וּמְזוֹנוֹת, הַדָּבָר לֹא תָלוּי בִזְכוּת, אֶלָּא הַדָּבָר תָּלוּי בְּמַזָּל, שֶׁהַגִּלְגּוּל גּוֹרֵם לוֹ כְּאִלּוּ שֶׁהַדָּבָר תָּלוּי בְּמַזָּל. וּמַה שֶּׁאָמַר, אִם רָצִיתָ שֶׁאַחֲרִיב אֶת הָעוֹלָם אֶחְזוֹר וְאֶבְרָא אוֹתוֹ וְאֶפְשָׁר שֶׁנָּפַלְתָּ בִּשְׁעַת הַמְּזוֹנוֹת, כָּךְ שָׁמַעְתִּי, בְּוַדַּאי שֶׁכָּל צַדִּיק וְצַדִּיק יֵשׁ לוֹ עוֹלָם בִּפְנֵי עַצְמוֹ, זֶה גוּף הָאָדָם שֶׁנִּקְרָא עוֹלָם קָטָן, וּמִשּׁוּם כָּךְ נֶאֱמַר, אִם רָצִיתָ שֶׁאַחֲרִיב אֶת הָעוֹלָם, וָאָבִיא אוֹתוֹ בְגִלְגּוּל אַחֵר, וְאוּלַי שֶׁנָּפַלְתָּ בִּשְׁעַת הַמְּזוֹנוֹת. Rabbi Elazar Pedat was a sage from the time between the first and the second Holy Temples. He was very poor and never complained about it. His teaching is quoted in the Talmud and other sources. The Zohar refers to a story about him to explain the purpose of the Tikkun process. 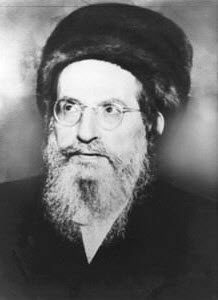 One time, Rabbi Pedat fainted because of hunger. God appeared to him in a dream and asked him if he wanted him to destroy the world in order to give him a chance to be born as a rich person. Rabbi Pedat asked God if it was certain that he would be rich and God said that there was no guarantee about this. Rabbi Pedat didn’t accept God’s offer. The Zohar tells us that a person is considered a small world. When God said he was willing to destroy the world for Rabbi Pedat he was referring to the ‘body existence’ so the soul could reincarnate. Many questions come to mind when reading this story but we will focus on the explanation of the Zohar. It doesn’t matter if a person is righteous or not. If he was born into a specific tikkun process he can not get out of it until he is dead. Whatever is related to children, life and sustenance don’t come by the merit of the person but by his ‘Mazal’, which is the point of the Tikkun process with which he entered into the world. Pushing in the wrong direction will only harden the Tikkun process. Why couldn’t God guarantee the righteous, Rabbi Pedat, that he would come back as a rich man? The deep secret that is revealed here is the true goal of humanity. The creation of the world was for Adam and the entire tikkun is for him. We, as sparks of his soul, reincarnate for the process of his (our) correction. As individuals, we must fit in the global plan to lead us to the Final Redemption. We must correct ourselves and work for the whole, regardless of our personal state. Having children, health or money are not the main goals. Because we are temporary in this world we must see the big picture and do for others. Like our natural care for our children, we must care and be responsible for the whole. It is not about us as separate beings but the process of bringing the Final Redemption with the final Tikkun of the entire humanity. When we care and treat each other with human dignity we mend the disconnection between all the scattered souls (sparks) of Adam and come closer and together to the Final Redemption, which is like coming back to the Garden of Eden but without the Snake’s presence. Rabbi Pedat was righteous and saw the big picture. He didn’t care for himself and chose to stay poor while keeping on his Tikkun, revealing light in the world. But the final correction of the world, will be achieved by introducing everyone to the secret of God’s work, and as it said in Zecharia 14:9 ” and YHVH will be king over the entire earth. On that day YHVH will be One and His name one”, and the verse specifically says “on that day” and not before it, and it is also written (Isaiah 11:9): “Because the land is filled with the knowledge of YHVH”, etc. (Numerical value 506, same as unconditional love ( אהבת חנם). “…and flocked to him all nations, etc..). However, the role of the Israelites for the world is like the role of our holy fathers for the nation of Israel. The merit of our patriarchs allowed us to develop and refine until we became worthy to receive the Torah. Without them following the law of the Torah before it was given, then we would not be better than all the other nations. Also the Israelites has the responsibility to study of Torah and mitzvot for cleansing and preparing themselves and the rest of the world until they accept the high work of unconditional love for others. It is the ladder to reach the purpose of Creation, which is to be one with the Light, blessed be He. Share the light with all the people that are in your life, bring them into the unity that is needed for the entire world to bring about Mashiach.